The Stateline Hillcrest Small Animal Hospital team of skilled veterinarians welcomes you to our practice. 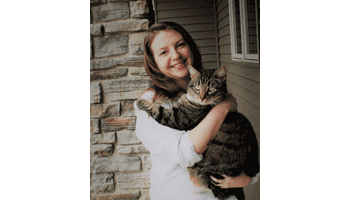 Proudly serving the Danville and East Illinois, Stateline Hillcrest Small Animal Hospital, it is our daily privilege to provide quality vet care to your cherished pet, with compassion and competence. We hope to ensure a positive impact on our patients, pet owners and the local community. 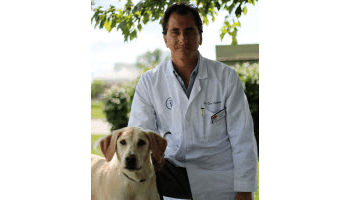 Dr. Girouard graduated from the University of Illinois in 1998. He came to work with us immediately after graduation. He now serves as the Medical Director for Stateline Hillcrest. He practices small animal medicine and particularly enjoys orthopedic surgery. Dr. Ardisana has been with us for a year now and is an excellent doctor. 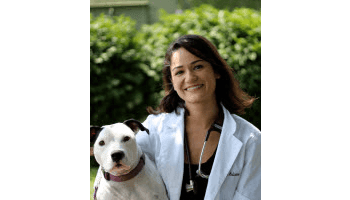 She studied Veterinary Medicine and got her degree at the University of Illinois. She also worked at the Brookfield and Omaha zoo where she gained knowledge on exotic species. Dr. Ardisana​ does see exotic patients here at Stateline as well.